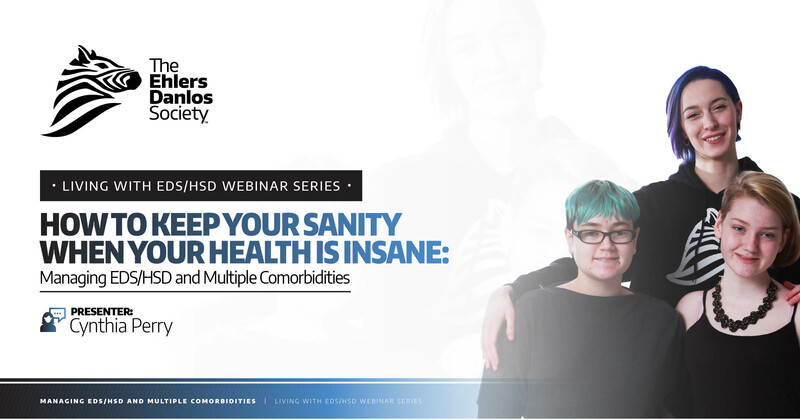 The Ehlers-Danlos Society welcomes you to our webinar educational series, “Living with EDS/HSD,” dedicated to educating people diagnosed with the Ehlers-Danlos syndromes or hypermobility spectrum disorders, their loved ones, and anyone wishing to learn more about EDS, HSD, and myriad related disorders. Presented by renowned medical professionals and experts in living with EDS/HSD, each webinar will focus on important topics of interest to the global EDS/HSD community. The webinars are usually held on Wednesdays and are expected to last approximately one hour. Participants must sign up in advance at the links provided. After sign-up, participants will receive an email with instructions on how to access the webinar. Presentations will be recorded and become available in the PREVIOUS WEBINARS PAGE as well as our YouTube channel (http://bit.ly/EDSocietyYouTube). As if having EDS/HSD isn’t enough, many of us have other comorbid conditions to manage as well. This often means juggling multiple specialists and complex coordination of care. Cynthia will share tips and tricks for bringing order to this chaos and prioritizing your healthcare needs. She will also show you ways to build and manage your care team, research your conditions, and ultimately choose the treatments that are best for you. Cynthia wants you to learn how to be in control of your healthcare. To sign up to participate in the webinar live, please visit Webinar Registration – Zoom. After signing up, you will receive an email with instructions on how to access the webinar. Presentations are recorded and (barring technical difficulties) become available on the previous webinars page as well as our YouTube channel (http://bit.ly/EDSocietyYouTube).